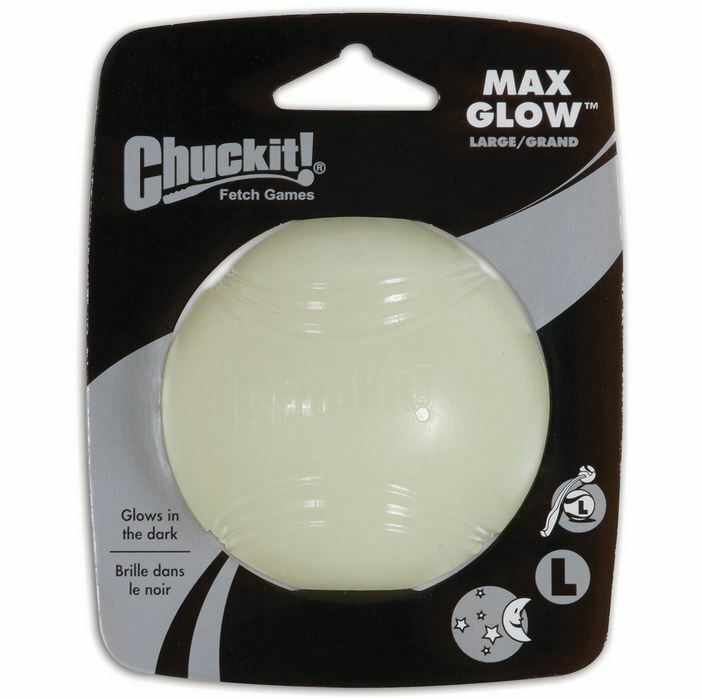 The Chuckit Max Glow Ball is an exciting dog toy which emits a fascinating glow, making fetch during low light conditions even more fun. The long-lasting glow can be quickly charged under any bright light, and will last long enough to tire your dog out. These easy to clean balls provide a lot of night time fun without the need for any batteries. 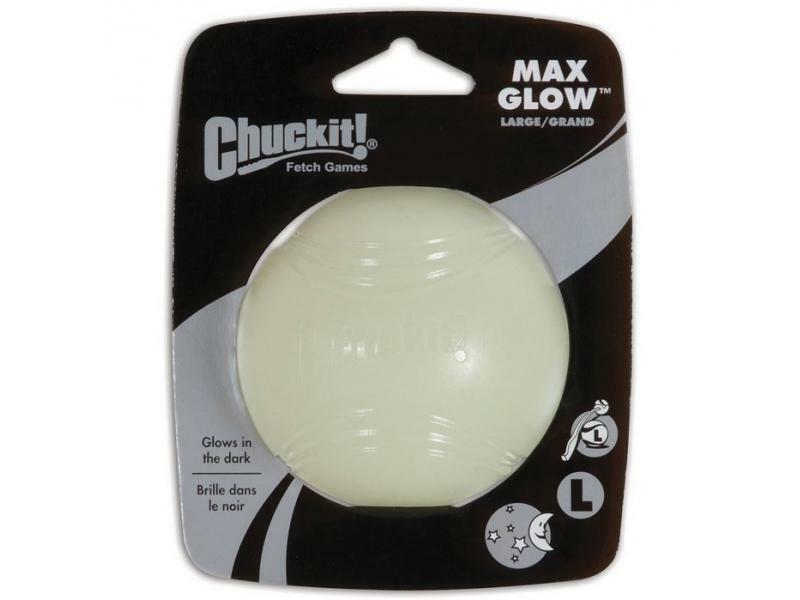 For the matching Chuckit Ball Launcher for the Max Glow Ball, click here. Below are some recent questions we've received regarding Chuckit Max Glow Ball, including answers from our team. The medium ball is approximately the size of a tennis ball at around 6.5cm. They fit perfectly into the Medium Chuckit Ball Launcher.